A woman of the Dong ethnic group in Liping county, southwest China's Guizhou province, is making a unique contribution to her local community. Thanks to her promotion of traditional Dong embroidery, the average monthly income of local artisans has increased by 1,600 yuan. The 33-year-old woman learnt such embroidery techniques from her mother, a well-know expert in the local community. She started practicing stitch-work from a very young age. However, an unfortunate accident left her disabled in one hand at the age of 6 or 7, which stopped her developing her embroidery techniques further. After graduating from college in 2008, Lu decided to pick up the skill again. She said the traditional Dong embroidery techniques are of special significance to the Dong culture, and she has a responsibility to carry it on as a Dong woman. More importantly, as the oldest daughter of her family, Lu has an obligation to inherit the skills according to Dong tradition. Though Lu partly lost the function of her left hand, she managed to overcome this difficulty and become an expert of the traditional techniques. She has since opened a workshop in Liping and won a number of national prizes. 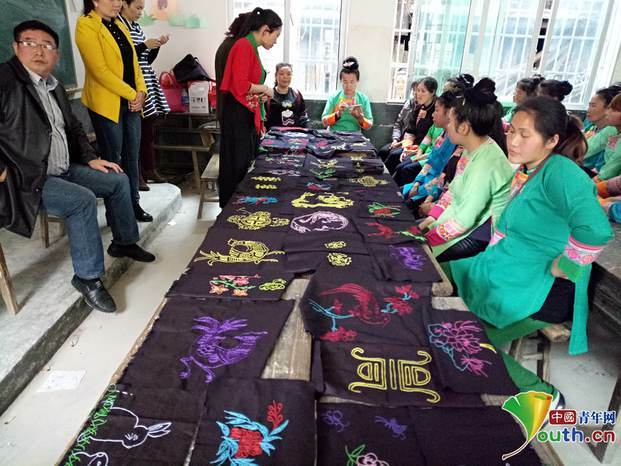 To date, Lu has helped over 70 young people of the Dong ethnic group find jobs, and encouraged 200 rural women to learn traditional embroidery skills. In addition, she has established seven training centers to teach more than 600 people, including 80 who are disabled. This Dong woman is giving back to her society through philanthropy. Her workshop was even visited by Chinese Premier Li Keqiang in 2015, during his inspection tour of the county. Li told her that she wears Chinese culture, and encouraged her to strive for bigger and better achievements. Now, with an expanding business, Lu’s products have been shipped to Beijing, Shanghai, Guangzhou and even overseas markets. 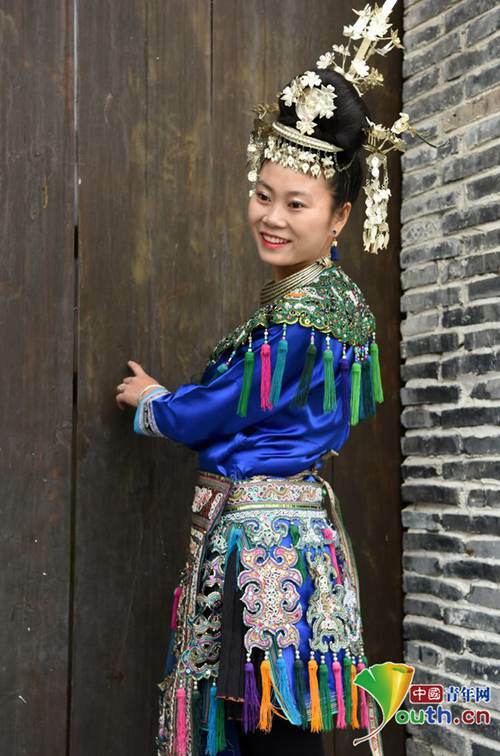 She said traditional Dong embroidery is part of the Chinese culture, and she is confident that she will continue the traditions for future generations to enjoy.